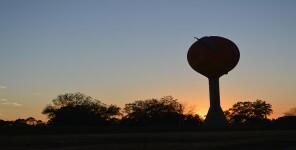 Abihka was one of the four mother towns of the Muscogee Creek confederacy. The Abihka were the remnants of the 16th century “Chiefdom of Coosa.” The Coosa chiefdom was a powerful Native American paramount chiefdom near what are now Gordon and Murray counties in Georgia, in the United States. It was inhabited from about 1400 until about 1600, and dominated several smaller chiefdoms. 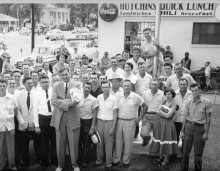 The total population of Coosa’s area of influence, reaching into present-day Tennessee and Alabama, has been estimated at 50,000. Hernando de Soto and his expedition entered the Coosa chiefdom in 1540. Chroniclers recorded that the chiefdom then consisted of eight villages. Following contact with Europeans and the associated introduction of Old World diseases, the populations of the Coosa and other local chiefdoms suffered extensive fatalities; the societies went into precipitous decline. 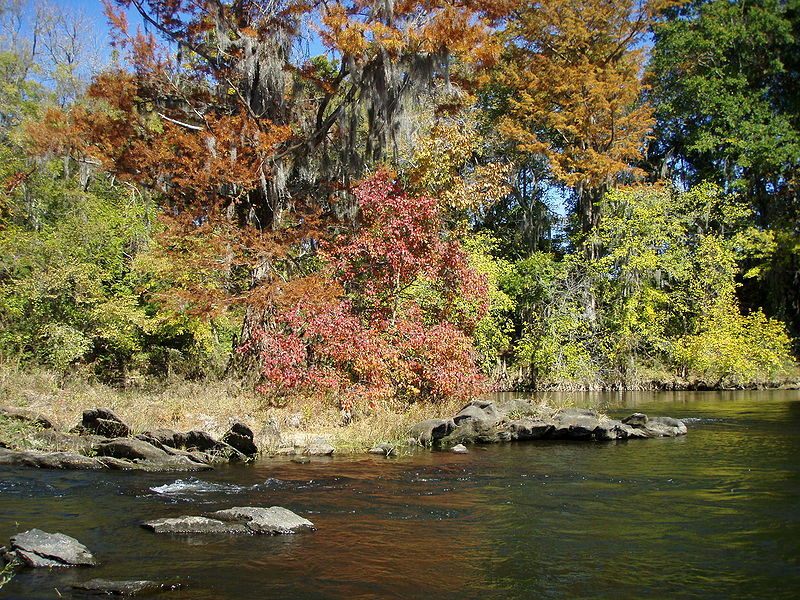 By the close of the 16th century, most of the core area of the Coosa was abandoned. 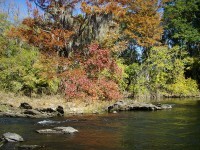 The surviving population withdrew to a few villages along the Coosa River in Alabama. 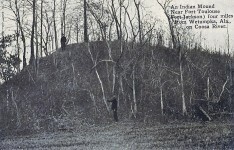 The members of the Abihka were Upper Creek Indians. Their main place of residence was along the banks of the Coosa and Alabama rivers, in what is now Talladega County, Alabama. Abihka was one of the oldest of the Upper Creek towns in Alabama. While there is some uncertainty, it is believed that the site of the town was in Talladega County, near the Coosa River, and just South of Tallassehatchee Creek on the S. 1/2 of the S. 1/2 of sec. 17, T. 20, R. 5 E. of the Huntsville meridian. 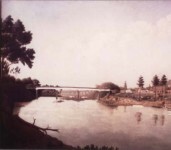 The first record of the town is found on Delisle’s map of 1704, where they are “les Abelkas,” and are noted on the east side of the Coosa River, apparently just above the influx of the Pakantalahassi.— Winsor. Belen’s map of 1733, also places the “Abeccas” on the east side of the Coosa, but at some distance from it. The people of the town were closely related to the Kansas and other towns of the Upper Creeks, and indeed, Bartram identifies them as the Coussas. Situated on the northern limits of the Creek country this town was a buffer or defense against- hostile inroads, which fact gave the appellation just noted indicating its antiquity, it is recorded that the oldest chiefs were in the habit of naming the Creek Nation after the town. 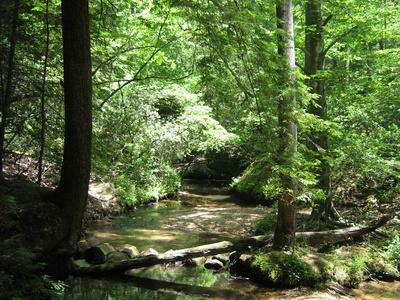 A French census of 1760 divided the Upper Creeks into Alybamous, Talapouches and Abikas. To this town some of the most ancient Creek customs are traced, as, the laws punishing adultery, and for the regulation of marriages. 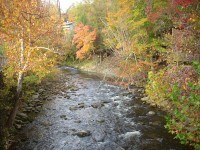 Au-be-coo-che, is on Nau-chee creek, five miles from the river, on the right bank of the creek, on a flat one mile wide. The growth is hard-shelled hickory. The town spreads itself out and is scattered on both sides of the creek, in the neighborhood of very high hills, which descend back into waving, rich land, fine for wheat or com; the bottoms all rich; the neighborhood abounds in limestone, and large limestone springs; they have one above, and one below the town; the timber on the rich lands is oak, hickory, walnut, poplar, and mulberry. There is a very large cave north of the town, the entrance of which is small, on the side of a hill. It is much divided, and some of the rooms appear as the work of art; the doors regular; in several parts of the cave saltpetre is to be seen in crystals. 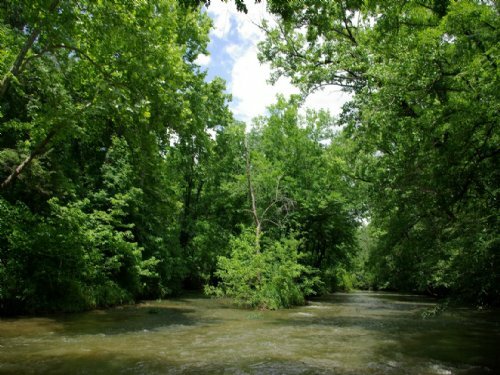 On We-wo-cau creek there is a fine mill seat; the water is contracted by two hills; the fall twenty feet; and the land in the neighborhood very rich; cane is found on the creeks, and reed grows well on these lands. This town is one of the oldest in the nation; and sometimes, among the oldest chiefs, it gives name to the nation Au-be-cuh. Here some of the oldest customs had their origin. The law against adultery was passed here, and that to regulate marriages. To constitute legal marriage a man must build a house, make his crop and gather it in; then make his hunt and bring home the meat; putting all this in the possession of his wife ends the ceremony and they are married, or, as the Indians express it, the woman is bound, and not till then. This information is obtained from Co-tau-lau (Tus-se-ki-ah Mic-co of Coosau), an old and respectable chief, descended from Nau-che. He lives near We-o-coof-ke, has accumulated a handsome property, owns a fine stock, is a man of much information, and of great influence among the Indians of the towns in the neighborhood of this. They have no fences, and but a few hogs, horses, and cattle; they are attentive to white people who live among them, and particularly so to white women. 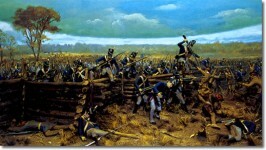 The Abihka took practically no part in the Creek uprising of 1813. After their removal to Oklahoma they established their first square ground a few miles from Eufaula. Later many of them moved farther west, following the game, and they established another square, sometimes called “Abihka-in-the-west.” Both of these have been long abandoned. Before they left the old country two branch towns had arisen – Talladega [Taladigi] and Kan-tcati [Kån tcáti] (Red ground). They were perhaps late in forming, since they do not appear separately listed before the census of 1832. There is a place called “Conchar-dee” a few miles northwest of Talladega, in the county of the same name, Alabama. After their removal the Kan-tcati busk ground was soon given up, but that of Talladega has persisted down to the present day (1912). Gatschet enumerates two other Abihka towns, Tcahki låko or Big Shoal and Kayomalgi.The former was on Choccolocco (“Big Shoal”) Creek in Calhoun or Talladega County, Ala., and is to be distinguished carefully from the Okfuskee town so called. There is some reason for thinking that Kayomalgi may have been settled by Shawnee, though in 1772 a Chickasaw settlement was made on the creek which bore this name.“The Lun-ham-ga Town in the Abecas” is mentioned by Tobias Fitch in 1725. On the Lamhatty map is a town called “Apeicah,” located apparently on the east bank of the lower Chattahoochee. This may perhaps be intended for Abihka, but if so it is badly misplaced. We have no knowledge of any portion of the Abihka people living so far to the south and east. After the removal to the Indian Territory, refugees from the Abihka mother-town established a ceremonial stomp dance ground which they call Abihka (or sometimes, Arbeka). Below the stomp dance is performed in Henryetta, Oklahoma. 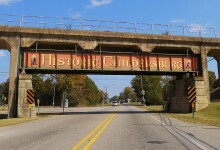 Is America’s oldest continuously occupied city Childersburg, Alabama? They were certainly here before Europeans. However they were not the first people here. They were, perhaps, descendants, of those who came before. @Alan Yates Care to elaborate on that inane comment? my 3rd gr. grandfather moved his family into Murray Co. Ga. after the 1850 Polk Co. Tn. census, they lived in an area called Fancy Hill….. I have lived here in Talladega county my whole life and have always been interested in the local Native American history.While looking for arrowheads in different places throughout the county I know where several of these villages are that I just read about in the article. .
Jason you need to holler at me sometime and tell me where these sites are. You can contact me through my website listed with my name. I’d surely like to know. What a fantastic, needed, and unique article. Massive thanks! In my research I have become convinced that Hawkins in places either mistook or conflated Choccolocco Creek with the Tallapoosa River. If this is so then I have found at least one reference that could be what I believe points to a large, ancient Abihka town adjacent to Oxford Lake. When I-20 was being developed in the early 70’s bones and other artifacts were discovered and worked out. At the time, way back, it was the custom to bury remains under the bed or in the living room as it were which points to there being a village there. Because the finds were so extensive it is not hard to reason that it was a large community. It is believed that the Abihkas were around to greet the Muscogee when they blew in from points north chasing the Alibamons. 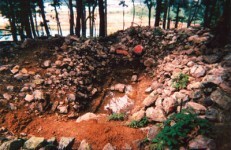 I suppose a dating of the things found along I-20 would give or has given a time certain for those things but it is not unreasonable to suppose that the Abihkas and their relatives over near Kymulga Cave were top notch ancient residents. The Oxford Library has many of the things found by my uncle Tommy Mullendore (Died 2001) on display. He was an amateur archaeologist. I was always interested in his work but I had no idea when he was alive that later I’d spend so much time researching the Creek Indians. Very provocative. This information peaks my interest and leaves me longing for more It is a sad legacy for early white inhabitants. Not to be proud of. We can not change history, but we can make a difference in now and the future by making accurate accounts of the history of Alabama. I think it is an important part of our heritage and we must never alter any discoveries. Thank you for all information. I hope to learn more in the future, Judith A lover of Alabama and it’s early inhabitants. I have found the site of Au-be-coo-chee on Nauche Creek (now Tallaseehatchee Creek), have located the springs mentioned by Hawkins, and arrowheads in the adjacent fields. I didn’t find any pottery at this location, but when I was young and visited my cousin who lived in Pinecrest, a subdivision located between the creeks of Talladega and Tallaseehatchee outside of Childersburg, he and I would find large shards of pottery in the plowed field where the village of Coosa was once located. Strange to me is the fact that my hometown of Sylacauga was Shawnee. Bartram said the Au-be-kas spoke a form of Chickasaw. The Natchez moved to Talladega County when they were oppressed by the French (I have located one of their sites). Here are three different tribes living among the dominant Muskogees, within short miles of one another, at the same time, and as far as I know, all in peace. And we call them savages! In 1732 the Tribe was within a few miles of Chestang Bluff – See the Cresnay Map of 1732. There were no Muscogee or Creek Confeseracy then – not invented yet. So cool! Reading the “People of..”series of archeological historical fiction by W. Michael and Kathleen O’Neal Gear.